electrical disorder of the heart. Many of these conditions are inherited (genetic) and can develop as an adolescent or young adult. 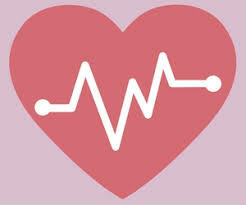 undiagnosed heart conditions at greater risk. SCA also can occur from a direct blow to the chest by a firm projectile (baseball, softball, lacrosse ball, or hockey puck) or by chest contact from another player (called "commotio cordis"). Some heart conditions at risk for SCA can be detected by a thorough heart screening evaluation. However, all schools and teams should be prepared to respond to a cardiac emergency. Young athletes who suffer SCA are collapsed and unresponsive and may appear to have brief seizure-like activity or abnormal breathing (gasping). SCA can be effectively treated by immediate recognition, prompt CPR, and quick access to a defibrillator (AED). AEDs are safe, portable devices that read and analyze the heart rhythm and provide an electric shock (if necessary) to restore a normal heart rhythm. Remember, to save a life: recognize SCA, call 9-1-1, begin CPR, and use an AED as soon as possible!